It has been three months since my last blog relating to Tigersheds and a lot has happened in the interim. Although my issue has been resolved, it would appear that other people are having similar problems to me. Within a couple of days of my first blog post, I received a phone call from a man at Tigersheds who said that they would like to discuss the issue with me. We scheduled a call for the following day, as I had a lot on that day. The next day I received a call from a very well spoken and reasonable young man – let’s call him John – who positioned himself as being the line manager of the young woman I had been dealing with up until then. The conversation was surprising considering the nature of the communications I had been having with the company previously. He started by saying that he was sorry for what had happened and that he was embarrassed about what I had been through and how the company had treated me. John suggested that in all the other dealings between me and the company, protocol hadn’t been followed and the issue should have been referred to him far earlier than it was. It felt a little bit like he was suggesting that the woman – let’s call her Lisa – had been to blame for not adhering to a process, although he didn’t say that directly. John offered to send someone out to replace the roofing felt free of charge, which was a complete 180 degree change from their previous position. However it did not finish there. He also said that for an extra £100, they would upgrade the installation from roofing felt to shingles, although the price differential between the two solutions was usually £700. But that wasn’t the end of it. Knowing that I was a customer experience consultant, he also asked whether I would be interested in coming in to see them on a paid basis to review their customer service practices. I was immediately cautious by this final offer and suggested that we should wait until the issue was resolved so see how everything panned out. I also told him that I would not be removing any of my blogging or social media posts on the basis of the offer. John told me that he didn’t want to influence my decision on that front and that it was my decision how I treated my social media communications relating to Tigersheds. To be honest, at this stage I was very impressed. Not only did it look like my issue was going to be resolved, but John was handling things beautifully from a Public Relations perspective as well. Within a couple of weeks, the shingles had been delivered and one of their subcontracted installers (and his mate) had been to fix the shingles. Whilst he was there, he told me that it was the roofing felt rather than the installation that had been substandard; and that although Tigersheds (also known as Tigerbox and Woodlands) had been incredibly successful over the past few years, they had become victims of their own success. It seemed as if I was not the only person who had been having issues from a Customer Service perspective. On a personal note, however, the good news is that the shingles look great and are working. No more leaks! A few days after the installation, I received an email from John asking whether I was happy with everything. I replied stating that I was; and also offered to pop up to Leeds to review their Customer Service practices, as previously discussed. This is where the alarm bells began to ring. John replied to my emails by thanking me for my offer of help, but stating that they had already had a review and that they were confident that they were getting on top of things, and therefore didn’t need my offer of help. Although I wasn’t disappointed in the lost opportunity, I did wonder whether they had just been paying lip service to the issue and had previously just used the offer to get me on side. Nevertheless, I thought nothing of it and cast the entire matter into my memory banks. “I called twice, emailed 3 times, and sent a recorded letter to Ross Moran (signed for on 24 July). I have heard nothing. I have rejected my workshop, and in the process of a chargeback claim with my credit card company. Happy to be mentioned, but only anonymously at this stage as I don’t want it to affect my claim. My emails where I initially to advise of finding the faults and seeking replacements panels. After being ignored, I rejected the item whilst I have the timeframe to do so under the sale of goods act (and distance selling regs). Still waiting for them to pick the pile of sticks that is supposed to be a workshop up. Apologies for the delay in sending you a breakdown of my experiences with Tiger Sheds. Our daughter’s 21st has been like the Queen’s birthday; it has gone on and on! I don’t think I have ever been so frustrated with a company before, who hide behind their website’s inaccurate and downright false claims and have such appalling customer service standards. So glad you managed to get your problem sorted out; I don’t think I am going to be so lucky. I have also had an email from Jane (I put Tessa & Jane in contact with each other) and am looking to have a conversation with her this evening regarding her nightmare problems. Mini Dutch Barn order on 19 May. Started production on 20th May with estimate of 20 days manufacture. Shed was not completed in time and because of the delay in manufacture and our vacation clash, the shed arrived on 7th July. Hugely inconvenient as daughter’s 21st party planned for the 18th and the shed needed to be in place. Initial inspection of the first main panel showed damage on the base, either done at the factory or in transit and a number of major splits in the wood. Contacted Tiger Sheds and spoke to Lisa (apparently Head of Customer Service) who asked me to send her pictures. Duly done. I reiterated the need for any rectifications to be arranged as a matter of urgency because of the forthcoming party and the following week would be too late. Further inspection of other panels indicated further damage again done in transit or at the factory and additional splits in the wood. Called Lisa immediately but she was too busy. Member of staff I spoke to told me to get my husband to fill in the splits as if it were returned to the factory, this is what they would do and resend it out!! Also advised that Lisa would email me that evening to confirm the action they would take. No email received! Called the following morning; Lisa was too busy to speak to me. Not getting that warm fuzzy customer satisfaction feeling from a company with supposed ‘Award Winning Customer Service’. Eventually received an email from Lisa on the afternoon of 8th July advising me that the splits were a feature of the wood and totally natural (suppressed guffaw from me) but not acknowledging the damage. Offered a replacement panel but not until 16th July. 21st party on 18th so rejected the offer and also highlighted that we had further inspected the other panels and found other areas of damage. Expressed my disappointment in the shed and asked her what solution they could suggest to turn this situation around. Waited for a response to my email to Lisa – received nothing. Re-wrote to Lisa on 10th July asking for a response to my email of the 8th and also highlighting that 6 out of the 9 panels were damaged with broken wood and pieces broken off, plus the considerable number of splits in the panels which if were not filled in would let water into the shed. I invoked the Sales of Goods Act which states that the retailer must either repair or replace faulty goods within a reasonable time without causing significant inconvenience. I explained that with their delay in manufacture and our forthcoming celebration, they had caused significant inconvenience and under this law I am therefore claiming a reduction on the purchase price. No response to my email, so resent on 14th July. Still no response! They may be the best online in terms of value but I guess it’s a case of buyer beware as the quality of wood used is appalling. 0 out of 10 to Tiger Sheds! Glad you got my information; please feel free to use the content. I did hear from Jane and we had a good chat about our experiences with Tiger Sheds. The Managing Director is called Ross Moran. Jane has now sent off a letter rejecting the shed and I will be interested to know how this plays out. I will be writing to him too but whereas Jane wants the shed removed and a full refund, I will be looking for a reduction in the cost for a sub-standard product which we have had to repair substantially to make it rain proof. I will do this before putting up any feedback but it appears Jane has already left her negative feedback. I want to give Mr Moran a chance to put things right, so a letter will be sent this week. You might be interested in the link below which is an interview with Mr Moran. It is a family business and I shall be keen to point out the beliefs he purports to hold and how they do not play out in terms of the product and service Tiger Sheds offer. If they don’t respond, the next action will be the feedback forums and I hope you will still be happy with my pasting your blog link onto this? I will let you know of any outcome I receive. Thought you’d like to know that I sent a recorded delivery letter to Ross Moran last week. It arrived with them on 5th August and guess what, no response. I have found a telephone number for them, other than their 0845 number and have been given the name of John ###### as the Manager responsible for customer issues. I was told that the MD doesn’t deal with customer complaints! Just wondered whether Mr ######## was the chap that spoke to you? I am giving them a few more days before I start with my feedback on line and then I intend to find every forum I can to express my disgust with this company. Negative emotions are contagious, but if Tiger Sheds really don’t care about their customers, I feel duty bound to warn others against this shoddy organisation. I believe Jane has instigated the credit card claim back process as she too hasn’t heard from Ross Moran. Thought it was worth letting you know that Customer Service seems positively scarce at Tiger Sheds and the indifference obviously comes from the top and is filtered down!! So, considering the experiences of both ‘Tessa’ and ‘Jane’ and the attitude and behaviour of ‘Lisa’ and ‘John’ – not to mention the lack of involvement from Ross Moran – it would appear that Tigersheds either do not care, have a lot of problems or both! It would seem that my initial experience with ‘John’ was indeed just them paying lip service to the issue. 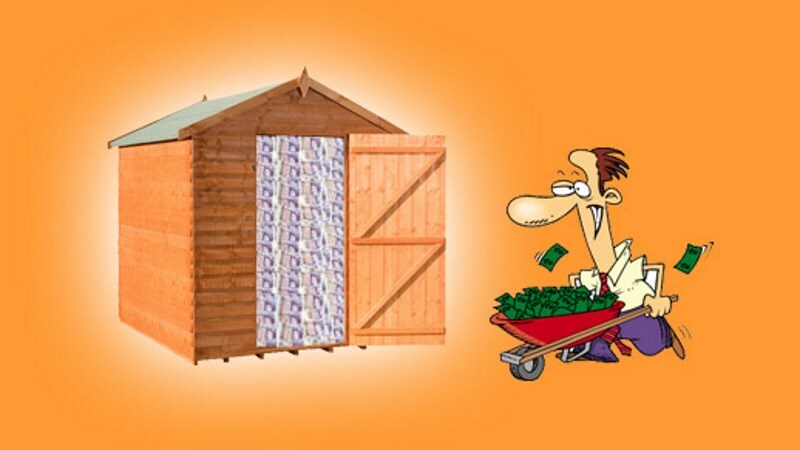 As I have previously mentioned, I do not like showcasing poorly performing companies and I have to praise the (eventual) quality and resolutions relating to my own cabin ; however it would seem that other people are now being affected by Tigersheds’ substandard products and customer service. It seems as if I have a duty of care! Let’s see how many more people crawl out of the woodwork… ? Just arrived home to find our new shed wedged between the caravan and the house. They’d arrived early. The delivery instructions were clear, between 12 and 2 knock on the front door for instructions to the backs for delivery. So I now have a shed that I can’t move, I’m disabled, and it’s too big to go through the house. Rang tigershed who were useless. Told to email them. I won’t hold my breath. Oh and various parts are broken.